My Day to Howl… Two Books Released! This is a rare opportunity for me, one that will probably never happen again soon. But I am happy to announce that two of my novels, THE COBRA AND SCARAB: A NOVEL OF ANCIENT EGYPT and YEAR OF THE RAM have been published— and released almost on the same day! Not only were they released in print as softcover and hardbound, but THE COBRA AND SCARAB was also released as an e-book for Kindle, Nook, Sony, iTunes and others. Normally, I do not write about my novels with any depth in my blog because each novel has its own page here on the website, but today is different and it is a great feeling. I know my fellow authors fully understand the raging river of emotions you undergo when you see your book hit the market – but for two books to do so at the same time is a pure adrenaline rush. Authors know the volume of work and effort that goes into the making of a novel—research, the writing, more research, the editing, the worry, the mental fatigue, finding a publisher, the marketing, and more marketing…. So, excuse me, because for today (and maybe tomorrow) I’m going to howl about how happy I am to have two more of my novels released. 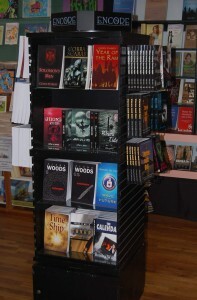 You can find them on Amazon.com, Barnes and Noble, and other book sellers. And I also learned that another will be coming out soon in e-book, but I have to wait a few more weeks. One of my aunts telephoned to remind me of another aunt’s birthday. Horrible as I am at remembering such important dates, I gladly accepted the information. The telephone call came from the same aunt that had saved letters I wrote to her long ago from Vietnam as a young Marine. While one aunt cherished letters she often referred to as ‘mini-novels,’ another aunt eagerly awaited her annual ‘birthday’ letter from me. I knew a nice Hallmark birthday card with flowery phrases and artwork would be acceptable to send, but it would never be as highly valued as a personal letter. I realized how amazing it was that a personal letter, well-written and comprised of family events and incidents, could bring happiness to someone. The thought kept churning within me for hours. As a society, we are possessed by the insatiable hunger for advancements that allow us to communicate faster and with greater ease. We are in a technological race we will win in the long run, yet in the end, will have lost the value of one-to-one personal contact, and the importance of our written word. Take a moment to consider the evolution of our communications with loved ones. For this writing I am solely referring to letters to family members or dear friends, not business activities. We began by calling a letter “snail mail” when sent through the postal service. Delivery took too long, so we introduced email into the equation. Email was found to be fast, arrived within seconds of clicking a ‘send’ button, and you could address it to as many family members as you chose – and they in turn could ‘forward’ your email on to as many people as they wished. Often you received an email with multiple headers consisting of dozens of addressees, all before you ever received it. That really had a ‘personal’ touch for you, didn’t it? We were not satisfied though and developed ‘texting’ to one another via cell-phone (which should not be performed while driving.) Next in the mix came Facebook whereby families and friends used it to keep in touch, ‘post’ notes of their activities, to say ‘Hello’ and inquire about each other’s lives or tell of special, personal situations. And of course, all your ‘friends’ were able to read what you posted. Twitter had a similar usage, and Google has joined the technological race as well. 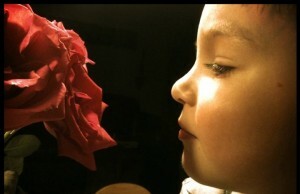 With letters, we typed or handwrote each using full words and sentences to express ourselves, our emotions on a subject. The letters were sent from one person to another, not copied to you on a string of addressees. When cell-phone texting came about, entering full words became too slow so abbreviations were given birth which spread and became a norm. Facebook allows for full words and sentences, but as we know, Twitter restricts users to 140 characters, forcing U 2 chop ltrs 2 simply say, “OMG, TY” or “O I C U 8 1 2.” I hate being forced to use such abbreviated codes to express myself. It feels like the ‘dumbing’ of America which I also compare to a long list of ‘reality’ shows on television. I read an article which discussed how high school and college students had difficulty writing required papers because they were so accustomed to daily usage of texting abbreviations. Another article stated a school district in Indiana was considering not teaching cursive writing to students anymore because of the reliance upon computers. I recently learned the school district in my hometown is discussing the same action. If our youth cannot properly write a school paper or do not know how to write in cursive, where are we being led in terms of private, personal communications as a letter is from one person to one another? While a mailed letter may be considered old-fashioned to some in this day and age, it still holds an important place in our society. The same as a reader may prefer to physically hold a book in their hand rather than a Kindle or Nook, a well-written letter held in some people’s hands is equally valuable. Throughout my life I have grown with the various trends and electronics as they came along. I experienced the evolution of technologies and used them to the fullest in both personal and corporate life. But there is an older generation of people who did not, and they still find happiness in the arrival of a well-written letter addressed to them. I do. Have you ever witnessed a loved one or elderly friend open a special box and retrieve a bundle of letters, all tightly bound with a ribbon or string? Did you ever watch as their eyes grew wet and their fingertips gently brushed across the envelopes with reverence? Somehow the moment would be lost if they were to open a folder and pull out printed emails to show you. Consider your letters to be ‘mini-novels’ for the greatest readers of all, your loved ones. Granted, not every communication should be a handwritten or typed letter. There is an appropriate time for those special writings, but we need to pause and consider when a personalized letter might bring joy or create a fond memory for those we love. Don’t let the art of letter writing become lost to society. Wannabe, Aspiring, or Accomplished Author? Wannabe, Aspiring, or Accomplished Author: Which are You? The “Wannabe” authors come in many varieties. One half of these people are the “groupies” who would like to write, but in truth, prefer to be with authors, discuss books, ideas, and enjoy the conversations and overall camaraderie. The other half will tell you they want to write a book but don’t have time, still have children at home, haven’t yet found the right idea, been working on an idea for twenty years, or are waiting for their winning lottery ticket to arrive in the mail. The “Aspiring” authors are actually writing, re-writing, editing, may be still confused about their novel’s true direction, and are trying their best to complete a manuscript. Possibly they have been working on their book for years, but they are steadily plugging away, one word at a time. Always though, dangling before their eyes is the golden carrot called “publication” which they are constantly striving to obtain. Of course for this discussion, we must include those persons who write just enough to have a chapter so they can announce themselves as being authors, yet will never finish the work for whatever reason. And last but not least we have the “Accomplished” writer. Here are the Gods of Literature who have one or more published (Indie or Corporate House) works out for purchase by people other than their immediate family members. They can display scars upon their backs from bad editing, belittling rejection letters, agents’ laughter, and snobbish reviews. We might also include those individuals who are in the process of getting their first novel published, but it is right there, ready to go out into the world and become “The Great Classic” of the ages. Does all of this so far sound a bit rough around the edges with a pinch of truth sprinkled in? Well, yes, in fact it is. We hear these “titles” used every day, fit ourselves into one of them, and cast others into them as well. There is a little truth in each classification I wrote. Do I completely believe each of the definitions? No. For fun, let’s shoot some holes in them all while seeking the basic truths. The “Wannabe’s” are probably the majority of people in society that have picked up a book to read for enjoyment. They secretly harbor the idea of writing, not on a serious level, and simply enjoy the feeling of being carried away to the multitude of worlds we as writers create. They are a writer’s best friend—the reader. I love them. Every writer loves them. These folks ask us about our books, how we do this and that, where did the idea for the novel come from, and a thousand other questions. They give us an adrenaline rush, swell our chests with pride, and give us a sense of self-worth for the hard work and long, solitary hours we put forth. I do not see them as “writer groupies” because they enjoy being associated with authors. I see them as new friends. But there are those “Wannabe” authors who use the excuses of time, family commitments, and their jobs as preventing them from writing. Sorry, those excuses don’t hold water. Why? For one, look at the series of Harry Potter novels. I read an interview about J. K. Rowling that told of her being a single-parent, raising her daughter, working to support them, was financially strapped, and writing at any and every opportunity she received. She had an idea and kept hammering away at it. Then one day, “Harry Potter” strode forth into the world, setting a writing standard others wanted to follow. That is only one example. Every day on Twitter, I read bio’s from women which states the same things; single-parent, raising children, working—and writing their first or second novel. There are people writing who have physical disabilities too, but they are writing. I know I’ve left out some industrious and courageous writer somewhere, so I apologize. The point is that if you want to write, or if you want to do something badly enough, you will make the time. I applaud everyone who is out there pounding their keyboards—especially women raising children! If embarrassment about your writing skills is holding you back, well, that is what editing is for! You can always find someone (a friend or a local school teacher) to help you edit a book. If you have a good enough story, tell it. Write your book. Write your story. You never know what may come about. But you have to write if you want to be a writer. What I’m pushing here is be honest with yourself, “Do it or stop telling everyone that you wannabe a writer.” To thine own self be true. Now, let’s move on to the “Aspiring” writer. God bless this group because I believe we are all in this classification. We write, edit, argue with ourselves over what we wrote, have doubts, hope others will enjoy it, and keep writing until we hit “The End.” The work doesn’t stop there of course. We will push it on for publication, and endure the trials of marketing. Each time we begin a new novel, we become an “Aspiring” author. There are no guarantees that the new book will be good even though you received high accolades on your last one. With each new book we are reaching for that golden carrot of publication. (I will state though that for some authors it is a shorter reach….) But a portion of this group are the writers who barely complete a chapter then stop. He or she has reached a sufficient point to display some pages if asked, yet for their own reasons will never complete the book. For this segment of the literary community, I say, “If you started writing a book, finish the work.” Maybe you will never write again, but by completing the book, you will learn a lot about yourself and better understand the journey others have undergone. And finally we arrive at the last category—the “Accomplished” writer. Does having a mile-long list of published books make you an “Accomplished” author? Is having an agent or being published by a big house what makes you so? For the sake of argument, you could say you accomplished the publication of a book. That would be truthful. After all, you are a published author. But from my humble view atop this soap box, I believe we may be published and highly recognized by the public, but we are constantly in a race against ourselves to make our next book better than the last—and the pressure on us to do so has definitely magnified. Our readers demand better and better writings from the authors they love. We raise the bar on ourselves. I feel we must constantly strive to write better, improve our craft, and improve ourselves. I would never say I’m an “Accomplished” writer because I want to continuously improve. I haven’t reached an author’s pinnacle whereby I can sit back and say that everything I write is magnifico! So, in a nutshell, I’m saying we should be careful with our usage of the classification. To some degree it has a ring of arrogance we should avoid. But we should rightfully always be proud of our accomplishments in publication, and our achievements or awards in writing. Before I step down from my soap box, I want to include a couple more aspects to consider in our struggle up the food chain to supreme publication. Remember, we all started at the bottom, hoping to one day write a book. (Think back about the first line of the first chapter of the first book you wrote. Painful, wasn’t it?) In recalling those struggling days, we should always provide encouragement and assistance to anyone that needs help with their aspirations to write. Talk to people, never down to them. Throughout your career, keep your feet on the ground, but reach for those shining stars. Whether in my career as a writer or during my years as a security manager for a global oil corporation, I’ve probably met about every type of person there is. One of the greatest authors I know, David Morrell, “First Blood,” (and many more books) talks to you—and his circle of friends are a “Who’s Who of Literature” listing. On the other hand though, I’ve met authors, barely published, who were condescending, and will never have the publishing numbers of just one of David’s novels. And don’t even get me started about some of the arrogant, global corporation management folks I’ve met because we could be here a long time. I wish you all the best in your writings and projects. For my next blog topic I’m considering “Do-It-Yourself Root Canals” or “Lobotomy, The Easy Way.” Have a nice day. Over 40 years ago, while a young Marine in Vietnam, I began writing long letters home to a favorite aunt. She kept them through the years, saying they are like reading “mini-novels.” My writings continued in one form or another, chronicling my years and experiences in the Corps, and as a Texas police officer, in journals that I gave to my son one Christmas as a gift. From there I moved on to ideas, scribbles and notes that swirled in my head, until one day I realized I was actually writing a novel. When my first novel was completed, I progressed into having an agent and submitting for publication. My professional career became too demanding, plus a bout with cancer raised some hurdles, so I laid my writing life aside for several years. Now, retired from a major oil corporation as its security manager, life has given me the opportunity to return to this passion. I am dusting off all the completed novels and ideas that sat in waiting for me so long. “Solomon’s Men” A professional thief is hired to steal an ancient Templar artifact which swiftly becomes the ransom for his loved ones and the object of a mercenary hunt. “Solomon’s Men” is actually my third book, but first published. “The Year of the Ram” and “The Cobra and Scarab” are coming out this fall of 2011. None are series. Each is a different time period. “The Year of the Ram” is the first novel I wrote and “The Cobra and Scarab” is the latest. Hopefully, by end of year all three novels will be out in print as well as e-books. I’m not sure how they became so jumbled in order of publication, but it has worked out. I believe I wanted to try a modern day setting first, then release the historical fiction works. I also have two ideas for new novels and trying to determine which is best. Good question because I sincerely do not know what or who inspired me to write. Fortunately, God gave me the ability then turned me loose to see what I would do with it. I seem to have always had the need to write novels, to write the stories swirling within me. I believe writers write because they must, not simply because they want to. Being a lover of history as well as a member of the Masonic Order, the Templar Knights provided me with the historical background and origin of name I wanted (even though the title is not based on King Solomon.) From that I created a secret Templar Order called SOLOMON’S MEN. As for the cover design, my artistic son created it for me to send to the publisher as the general idea of what I wanted. After the publisher saw it, they said it was good enough to use – so we retained his design — AND I am happy to say that he also designed the cover for my novel “The Year of the Ram.” I’m very proud of that fact too! As I wrote “Solomon’s Men” I kept the actor Antonio Banderas in mind for the lead role when the movie is made. (Hey, you’ve got to dream, right?) But, no, I haven’t made characters based on any particular person I know. They are often a conglomerate of the people I’ve met, worked with, disliked, or heard stories about through the years. As for including real events from my life, yes, they are woven throughout all of my writings in some form or another. I think every author does that. My wife always says that she sees me in the books (especially SOLOMON’S MEN) even though I never intentionally attempt to do so. My experiences in the Marine Corps, as a police officer, a career as a security manager for a major global oil corporation, and having been a security consultant, provide me with sufficient realistic background for any novel I may choose to write. 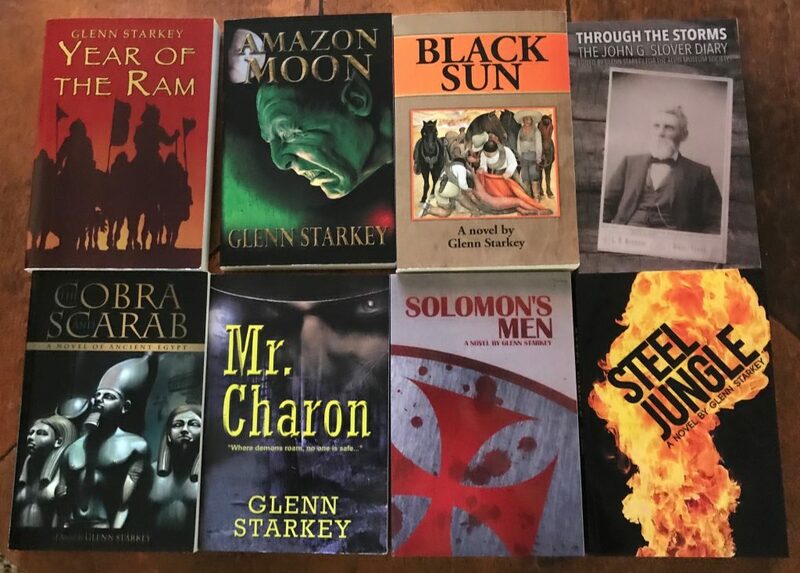 I have always enjoyed a variety of books – “The Agony and the Ecstasy,” “The Fifth Profession,” “First Blood,” “The Assyrian,” “River God,” “The Wolf’s Hour,” and more. But “The Wolf’s Hour” by Robert McCammon was a book given to me by a published author/friend when I first officially began to write. She suggested I fully read the book for his manner of constructing action scenes, dialogue, and so forth. I did, and it was an excellent book to read as well as being educational. I have corresponded a few times with David Morrell, but never met him in person. Through his communications I can easily tell that he is a good man, both kind and gracious, as well as being a superb author. His friends are a long list of “Who’s Who” yet he talks to you as if he were your neighbor, not down to you as many highly published authors of his status have been known to do. I believe David Morrell would be the one author that I would like to meet in person, sit and have a relaxed conversation with over coffee or Jack Daniels – or both depending upon how long the meeting would be. Since my return to writing I have realized so much has changed in the publishing world that it is almost difficult to comprehend. So many doors are open now that either never existed before or were welded shut. Big publishing houses used to control the market on everything, almost dictating their whims, but the gates have sprung open and the horses are out and running! I grew up being a “paperback” person so I’m inclined to favor them. Hardcover books were always out of my price range until they hit the “bargain shelves” at the book stores. And ebooks are something I am still trying to understand because you can go from writing “The End” to an ebook and reader “Download” within a few days. So I will rank paperbacks as being first in line with ebooks coming in second. I buy my books wherever I find a good book that interests me. I wish there were more small, independent bookstores near me because it is such a good feeling to go in and talk books with the shop owners…I prefer to physically hold a book, browse through the pages, and make a decision to buy in that manner rather than select at random online. But, I have purchased more than my share of books online. Yes. All three of my books. That’s not to say I have stopped the quest to obtain an agent again and be published by a major publishing house, but since I am returning to writing, I am going the self published route for now. And I feel quite good about it too because of the marketing changes and social media avenues that are available today compared to years ago when I started writing. Many times! Some of the books have yellow pages now and are falling apart, but every year or so I will pull one book out and read it as if it were brand new to me. No, not that I can recall. I enjoy movies, and having a son with a film degree and background keeps me abreast of the latest information (plus trivia) about cinema. I watch movies for entertainment, not to compare them to the book. Movies generally differ tremendously from the book, so I accept each on their own merits. I just completed a re-read of “River God” by Wilbur Smith in paperback. My wife used to read paperback and hardcover, but now reads all of her books in ebook format. I try to “never say never” so I don’t have to later eat my words. I’ve read my writer friends’ romance novels, biographies, all types of books. So, for now, I can’t say that I would never read a specific book. There is some form of knowledge to gain from every book as long as we remain open-minded. I am like everyone else, always on the lookout for a new author and new book that grabs me and won’t let go until I completed reading their novel. I believe an author, if given the opportunity, would continuously go back and rewrite parts of their books. I was once told that a book is never finished until jerked out of a writer’s hands because a writer will just keep re-working it…always trying to polish one more scene, one more page. Do you have a book trailer? No. Book trailers are something new to me. You-Tube has definitely opened the marketing field for them. If done right, a book trailer can make you want the book — but a poorly made trailer runs the risk of ruining your opinion of the book even when the book might actually be fantastic in its own right. 1. Write. Do not talk about writing a book, write it – and finish it. 2. Write from personal experience and months of dedicated research on your subject matter. 3. Never underestimate the intelligence level of your readers. You never know what expert will read your work and be turned off because you didn’t know what you were writing about. 4. Write from the heart, with passion, fury, and love. 5. Get an honest opinion. When you ask someone to read your work, be prepared for a bad review. To your family, you are always going to be Hemingway – but you need to bleed, so get an unbiased, non-related, qualified person to review your work and give an honest evaluation. And don’t get mad if someone says it needs work in a dozen arenas. 6. Don’t be afraid to re-write. Don’t be afraid to throw out a sentence, paragraph, or even a chapter if the writing doesn’t add to the story and move it along. 7. Be prepared to meet good authors, the type that talk to you – and be prepared to encounter the authors that will talk down to you because they see themselves as God’s gift to literature. 8. 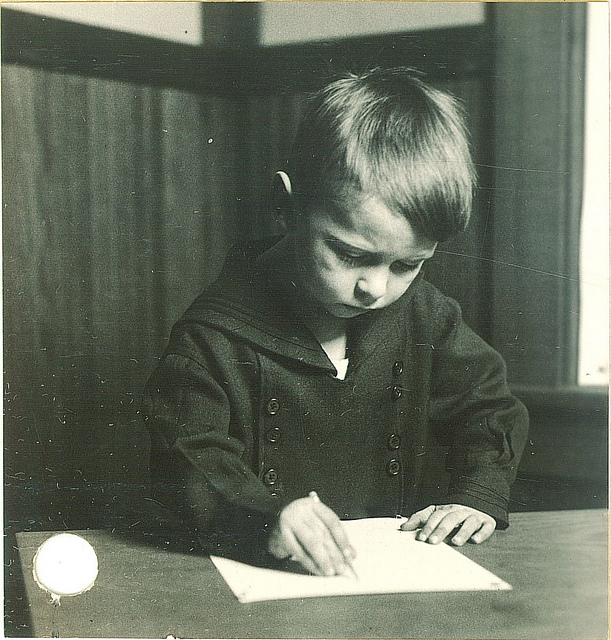 If you make the big time in writing, always remember you started small. Keep your feet on the ground and always reach for the stars. 9. And last, always carry a small journal with you to write down your thoughts or observations about a location, event, people, etc. You might find yourself even writing a scene in the journal that later can be transferred to a book. Do you write under a pen name? No. Do orange, fluffy-haired, house shoes with big rabbit ears and a leopard skin patterned speedo count? PJ’s only, huh? Well, thankfully, you can wipe those mental images away. The worst I’ve been dressed while writing was wearing my gym shorts and a ragged tee-shirt because I intended to later go to the gym. No cats. We don’t seem to get along. But, I have a two and a half year old, 93 lbs, Labradoodle named Willie. Matter-of-fact, as I write this he’s sleeping up under my chair so close that I can’t move. Coffee with cream and sugar, please. Either. Unfortunately, they both equally add to the beltline. I use both, always making sure that I keep my documents updated on both machines through a program which uploads and downloads to each computer as they are turned on. It allows me to stay current. Program is called “Dropbox” and allows me versatility to move between either. It’s a free program and great when moving between computers. Generally, I write only in my home office, but the kitchen table comes in a tight second. (It allows me to spread research material out to easily review. But doesn’t make my wife too happy.) And I’m one of those nocturnal writers who prefer to write late at night. Daytime remains for research and general paperwork. Where can your readers follow you? My Goodreads author page: To be setup in the future. Other: My website has a Contact Me section. How do you feel about readers contacting you? I encourage readers and writers (both aspiring and established) to write me with whatever they wish to discuss. I know from a personal standpoint that I truly appreciate a well known author taking the time to reply to me. Hearing from readers allows me to better understand my writings, plus I always learn something new. Good feedback is extremely valuable to me. “Solomon’s Men” is in print now but will be coming out in ebook format by end of year. “Year of the Ram” and “The Cobra and Scarab” will be coming out by end of this year, 2011, both in print and ebooks. Hello! Thank you for visiting my website. I am currently updating my site with new information, meanwhile, please check out my Books, Blog, and Posts. Check back often. More is coming!